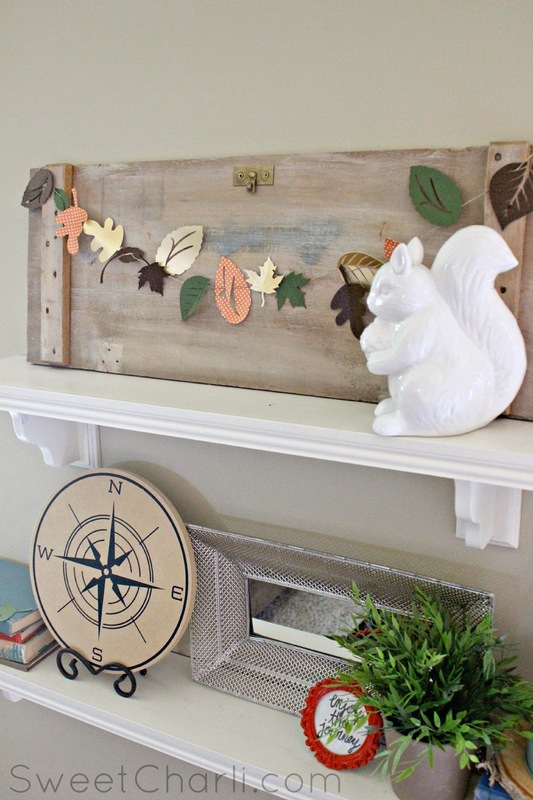 Okay seriously, I just barely put Fall things up in my home! Just as everyone is posting cute pictures of their Halloween decor, and I am not ready to put my Halloween stuff up yet! I am totally content with leaving my Fall cafe shelves the way they are. My favorite part is the paper leaf garland I made. I was at the store with my two girlies the other day and we found some amazing paper (Michaels). I picked up a bunch of different Fall colors, different textures, etc. The gold paper is super-cute but the paper I love even more is this faux worn leather paper! How cute is that? 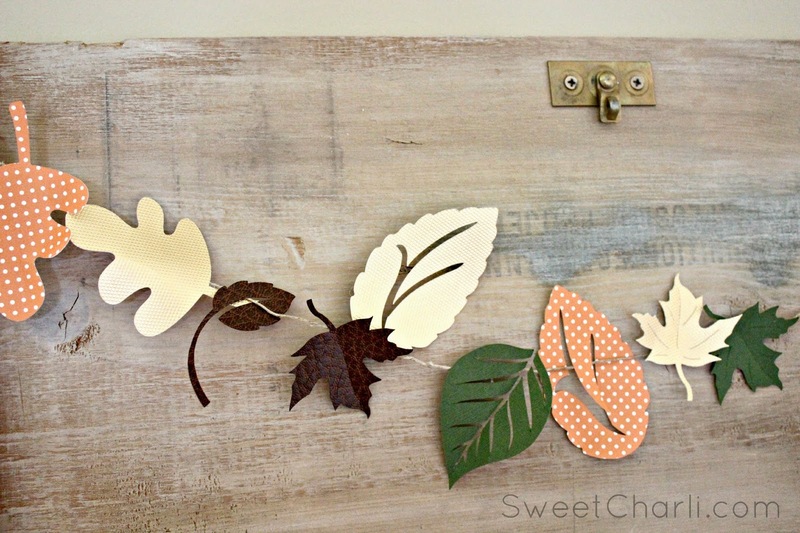 I made this paper leaf garland with my Cricut Explore. It took like 2 seconds to make! 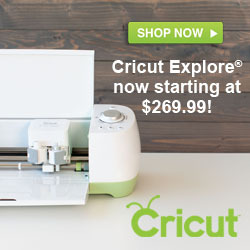 If you own an Explore just click HERE and you can quickly make this project too. After I had all the leaves cut out I just glued them to this jute and that was it. 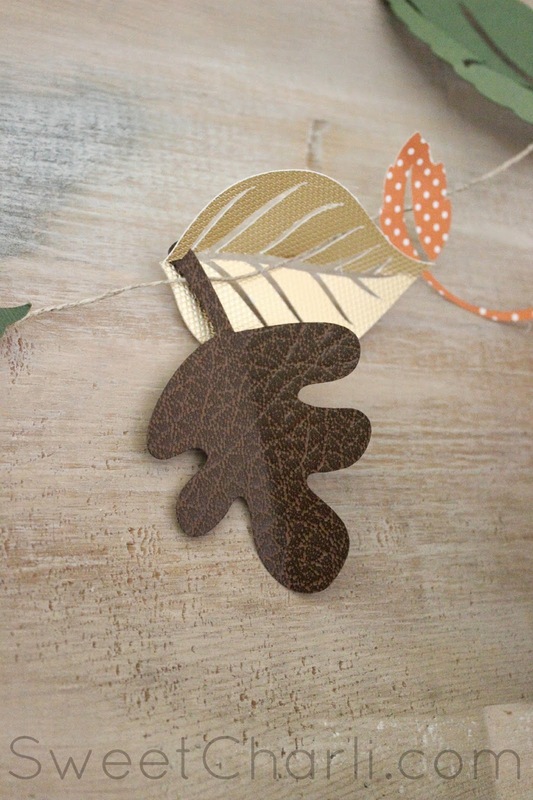 I kind of wanna make another paper leaf garland but with bigger leaves on it. 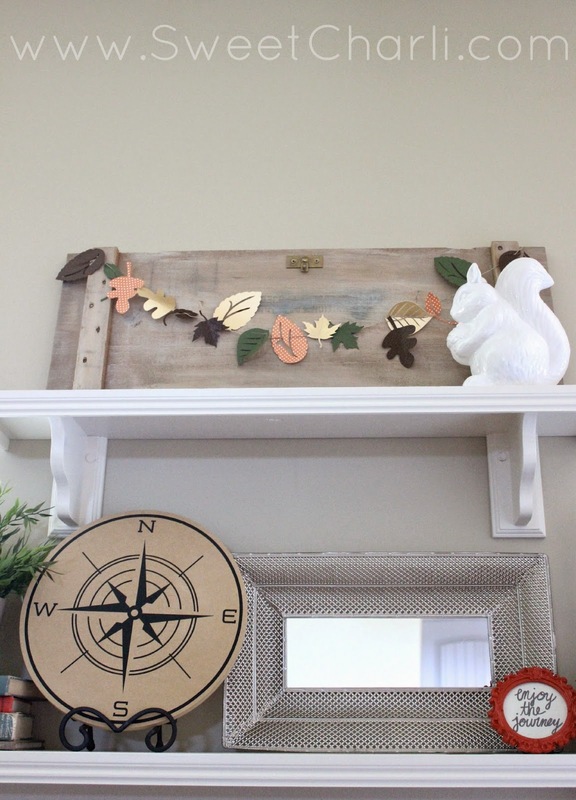 How do you like the darling wooden panel I have it hanging on? I picked it up at my favorite store, just 5 minutes up the road from me, Smith & Edwards. (if you’re ever passing through Willard, UT, it is just off the freeway. You MUST stop!) I got it last year, it came as a gun ammunition box but I took it a part and used the lid. I quickly white washed it with a little paint and it makes it look weathered. Another one of my favorite items on my cafe shelves is the compass. The people at Cricut made these and used them as chargers for an event I attended. It is a circle piece of wood with black vinyl on it. I really do love it! The squirrel is from TJ Maxx, the mirror is also from TJ Maxx, and I got the orange circle frame from Michaels, $3. The shelves also have old books from the DI on them and and IKEA plant. When it comes to decorating shelves, in my opinion, less is more. Use bigger items instead of lots of small items. -Just a little tid-bit! 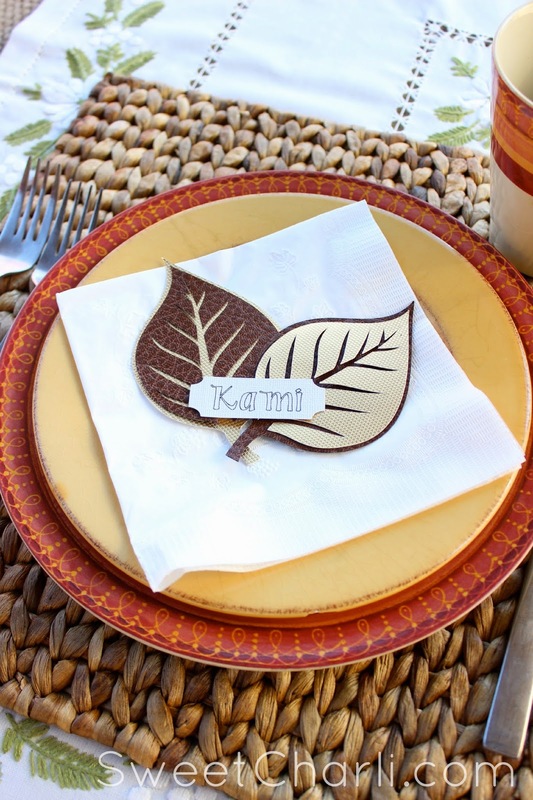 If you liked this cute Fall leaf paper garland then you may like the Fall leaf place cards I made HERE. 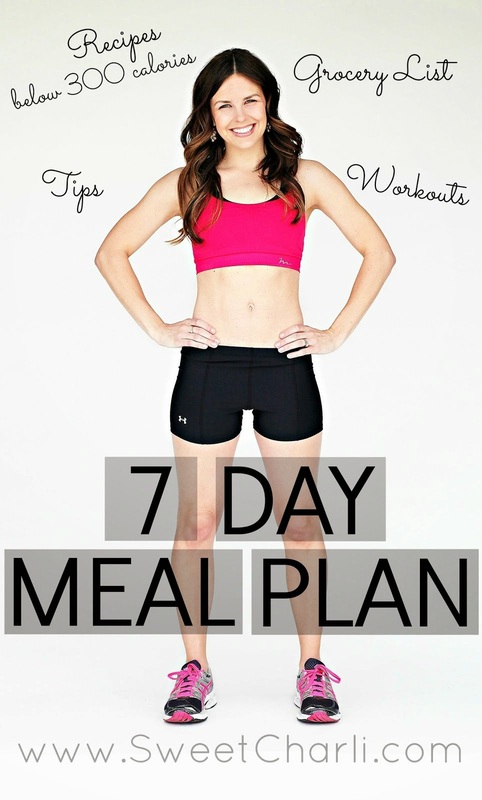 « Fun Finds on Higgle. What’s Higgle You Ask? These leafs look great! I would love it if you joined and contribute your awesome posts at my link party at City of Creative Dreams, starts on Fridays 😀 Hope to see you there at City of Creative Dreams Link Party.